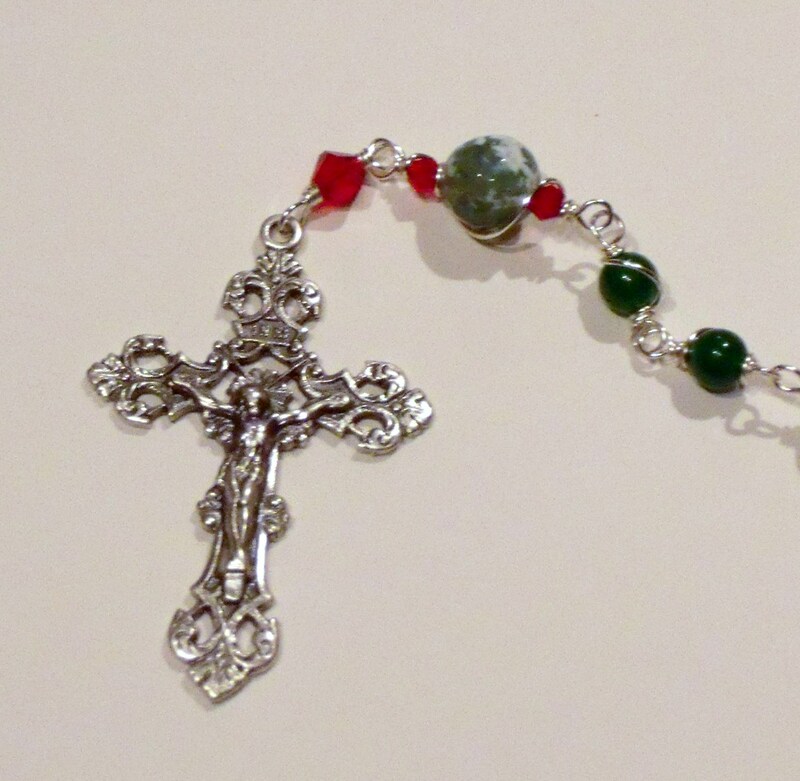 On the Bead Board … New Christmas Rosary | Nan Tubre Writes . 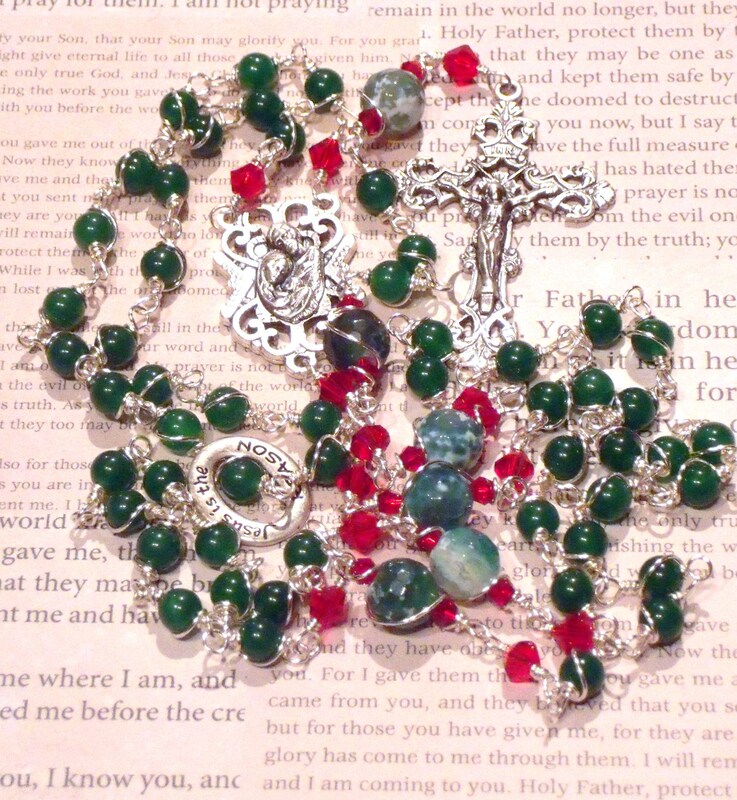 . .
How do you like this Christmas rosary? 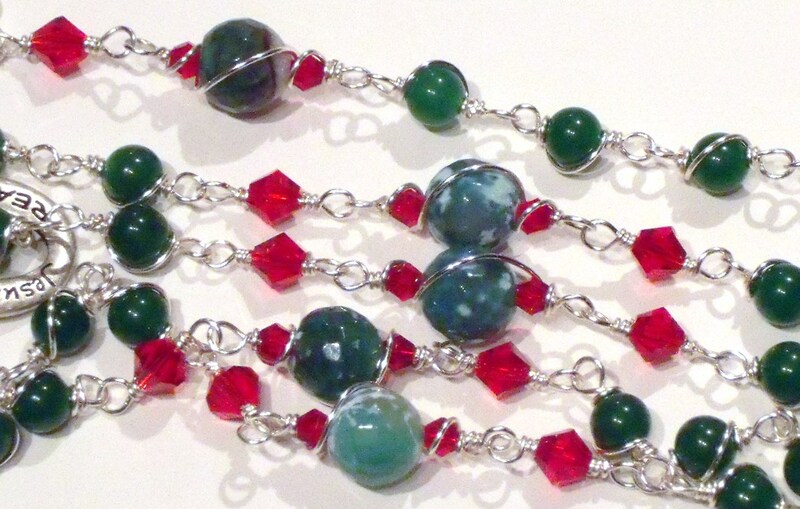 I put it together using semi-precious beads; green jade, red crystal, and cracked fire agate. Each bead is wire wrapped by hand using non-tarnish silver-plated 22 gauge wire. Take a look at that unusual center connector. It is a beautiful rendition of the Holy Family. The pewter crucifix compliments it perfectly. For a bit of Christmas delight, I added a ring engraved with the words “Jesus is the Reason” on one side and “for the Season” on the opposite side. The ring floats along all five decades and is a permanent part of the rosary. The technique of wire-wrapping the beads insures the durability of this sacramental tool. There are no links that will split open over the years. Construction is tight and the prayer beads will slide through your fingers easily. 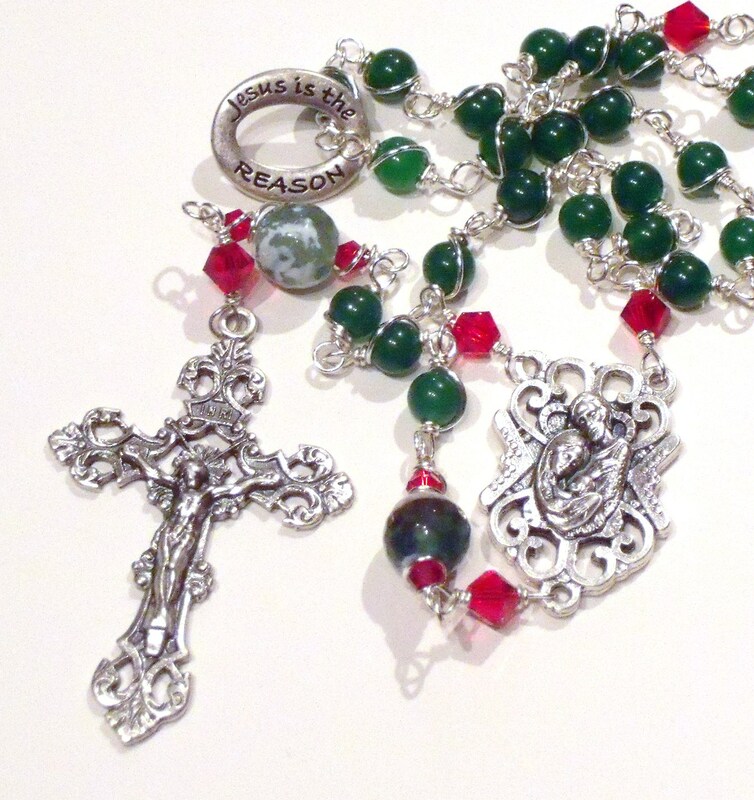 This is a rosary that you will be proud to hand down from generation to generation. Merry Christmas, ya’ll, and don’t forget to pray for peace! 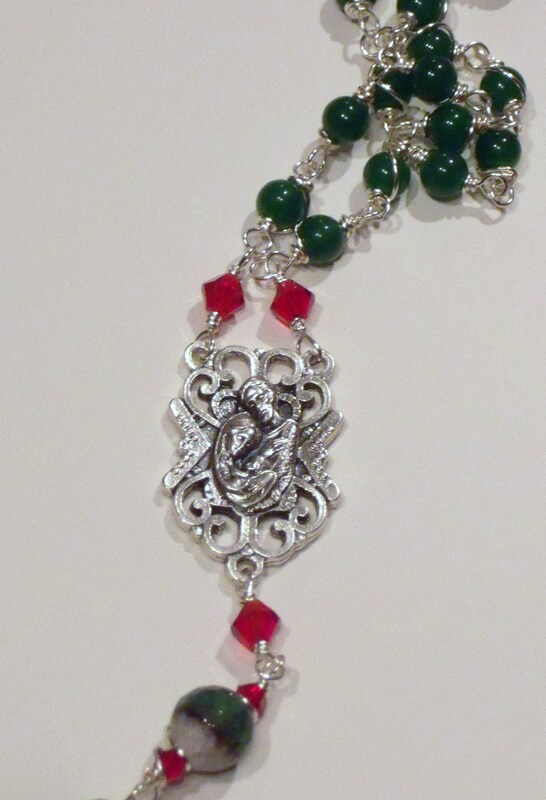 What a beautiful rosary, wonderful work! Thank you so very much! Your compliment means more to me than you can imagine. Bless you! That is awesome. You are so talented!! I am jealous!!! And that is not good to be that way at this time of the year!! !